First things first, before I jump into my review: a little background info on my love for Herman Koch. Koch’s writing is very distinctive, and this background info will hopefully give you a sense of whether or not his books will be right for you—plus, it will explain why I am so darn excited about DEAR MR. M.
Discovering Herman Koch’s writing was, for me, like meeting a long-lost friend. Best known for THE DINNER (U.S. release – 2013), Koch is an author with a razor-sharp understanding of human nature, and a sharp wit to match. Both THE DINNER and his second novel to be translated into English, SUMMER HOUSE WITH SWIMMING POOL, explore the darker impulses of very ordinary people. Koch delights in taking the mundane and peeling away its layers to reveal the selfish motives and taboo desires hidden beneath—and this is precisely what makes him one of my most favorite authors. Always sardonic and psychologically astute, Koch writes with a relentless cynicism that I can’t help but love. I distinctly remember finishing THE DINNER one night back in 2014, and immediately jumping in my car to race to Barnes & Noble to pick up SUMMER HOUSE WITH SWIMMING POOL before the store closed. My brother could vouch for that story too—I called him on the way to the store just to share how in love I was with Koch’s writing. I think it was exactly what John Green meant when he said “Sometimes, you read a book and it fills you with this weird evangelical zeal, and you become convinced that the shattered world will never be put back together unless and until all living humans read the book.” I really get it, John Green. Two years later, I’ve been on pins and needles waiting for Koch’s next book to be released… and it’s finally here, and I’m so, so thrilled to share this review today. DEAR MR. M finds Herman Koch taking an unconventional approach to psychological suspense. There is a central mystery at the heart of this novel, sure—but what really captured my attention wasn’t the “whodunit”, but the how, the why, and the fallout. While not as visceral or shocking as THE DINNER or SUMMER HOUSE WITH SWIMMING POOL, DEAR MR. M succeeds in building a layered, maze-like mystery that draws the reader into the heart of the story, told through the alternating perspectives of the story’s key characters. Mr. M’s star is fading. Once a bestselling author of a wildly popular crime novel, he hasn’t been able to replicate the success of that book, and he’s now slipping slowly but surely out of public discourse. But someone has been watching M: a neighbor, who uses his proximity to M to keep tabs on his every move. 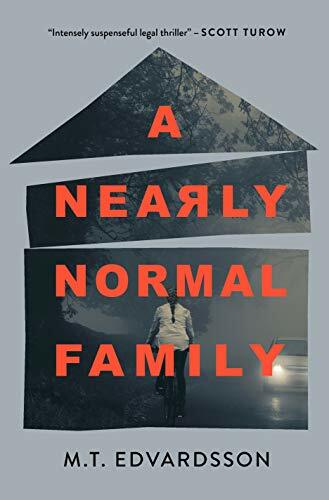 As the neighbor’s fixation grows deeper and darker, a connection becomes apparent between the neighbor and M’s bestselling crime novel. Was that crime novel truly fiction, or is there a kernel of truth at the heart of that novel that the neighbor is seeking to expose? There are just so many unique elements to Koch’s writing, and DEAR MR. M puts them on full display. First things first: I wasn’t expecting this at all, but DEAR MR. M is divided into unique sections, and each section is told from the perspective of a different character. I have to be honest—I was momentarily confused when I first encountered this setup, but I quickly came to love it. The sections are appropriately titled with playful-yet-mysterious headings that reflect the circumstances of their new narrator, and each section allows the reader to experience the perspective of that character. Readers delve into the mind of the neighbor, of Mr. M himself, and of characters within Mr. M’s book—and for an added twist, Koch doesn’t explicitly state who is narrating all of the sections; in some sections, it’s up to the reader to figure it out. Moreover, many of DEAR MR. M’s characters don’t even have full names; they’ll be referred to as simply “N” or “C”—and in some cases, Koch will slip their name into the story with no warning, leaving you chuckling as you realize what he’s done. Last but certainly not least, Koch has a wonderfully evil way of tossing the reader a huge hint at something nasty going on in the story... and then dropping it completely, leaving the reader unfulfilled and desperately curious. This story itself isn’t as sinister or shocking as Koch’s previous works, and I did hope for Koch to include at least one of his trademark gut-punch reveals in this novel. The book has plot twists and revelations, to be sure—but if you’ve read THE DINNER and/or SUMMER HOUSE WITH SWIMMING POOL, you’ll know what I mean when I say that Koch’s previous works are punctuated by a sucker punch of a plot twist, one that lifts the veil separating his character’s carefully-constructed public images from their horrific private motivations. DEAR MR. M doesn’t have a reveal of that nature. Instead, Koch slowly builds an image of a character (no spoilers which character!) who has a manipulative instinct, and an innate ability to bend situations to his will. I was fascinated by the portrayal and development of this character, and I was as impressed with Koch’s psychological astuteness as ever. Just don’t go into this book expecting the visceral moments found in THE DINNER or SUMMER HOUSE WITH SWIMMING POOL; instead, expect the development of three-dimensional characters whose unique personalities and perspectives leap off the page, and draw you into their world. The more I reflect on this book, the more I am convinced that this new direction for Koch is a great thing. THE DINNER and SUMMER HOUSE WITH SWIMMING POOL truly qualify as tours de force; their nastiness and shock value are unparalleled. It takes guts for an author with such a legacy to branch out, and apply that same vision to a new tone of novel. Did I miss Koch's trademark gut-punch shocks? Sure—I'd be lying if I said I didn't. But was I thrilled, unsettled, and awed by DEAR MR. M's more subtle expression of human evil? You bet. Herman Koch will forever be one of my favorite authors, and DEAR MR. M proves to me that he is an adaptive, ever-evolving author fully deserving of loyal readers. When I’m looking for a book with a sharp eye for human failings and a sharp wit to match, I will always choose Herman Koch. DEAR MR. M releases September 6, 2016 from Crown Publishing.